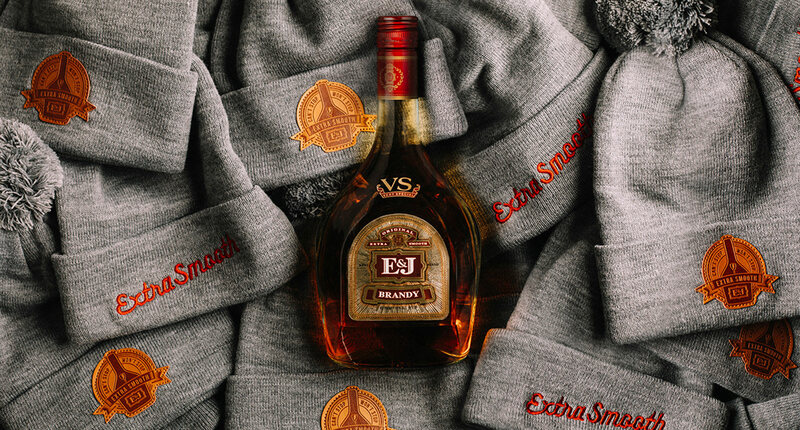 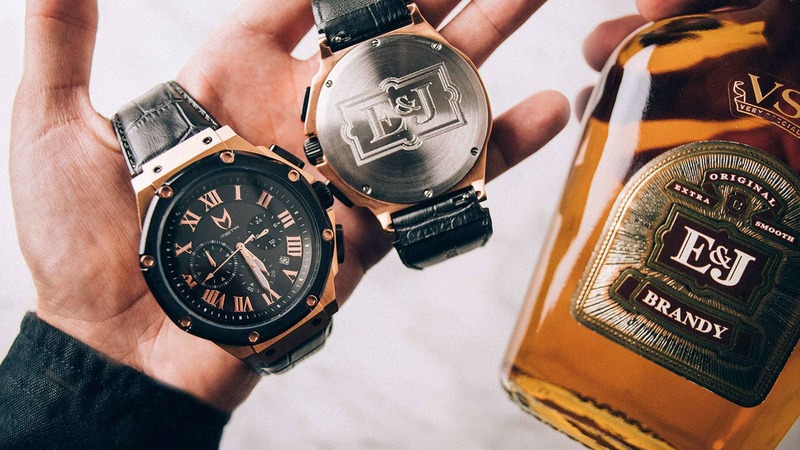 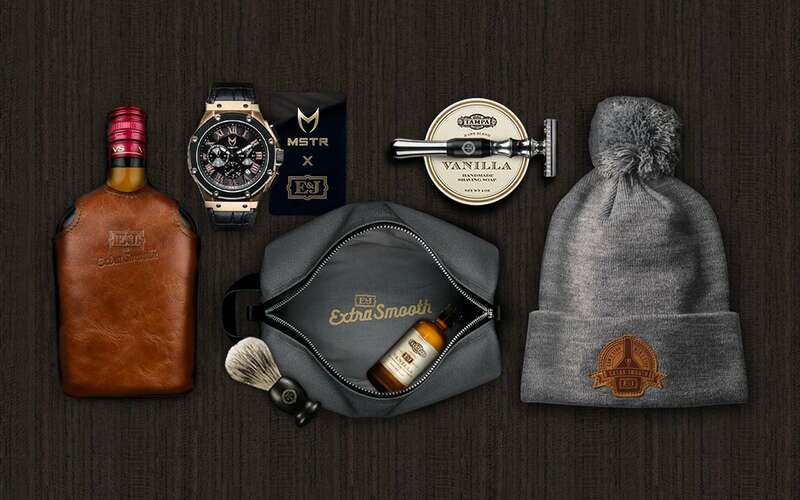 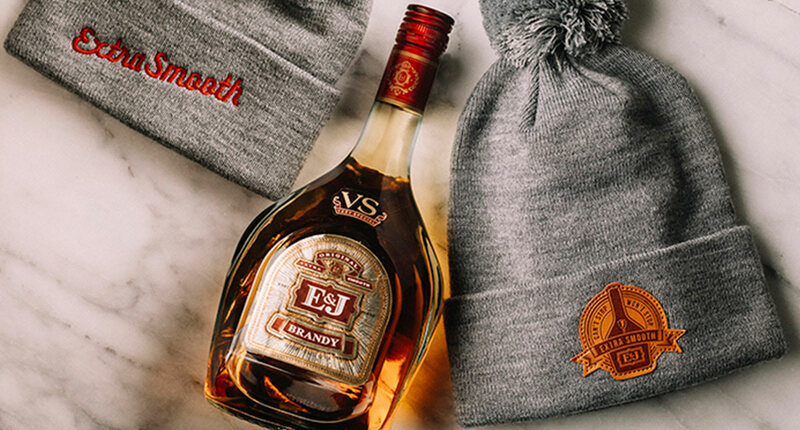 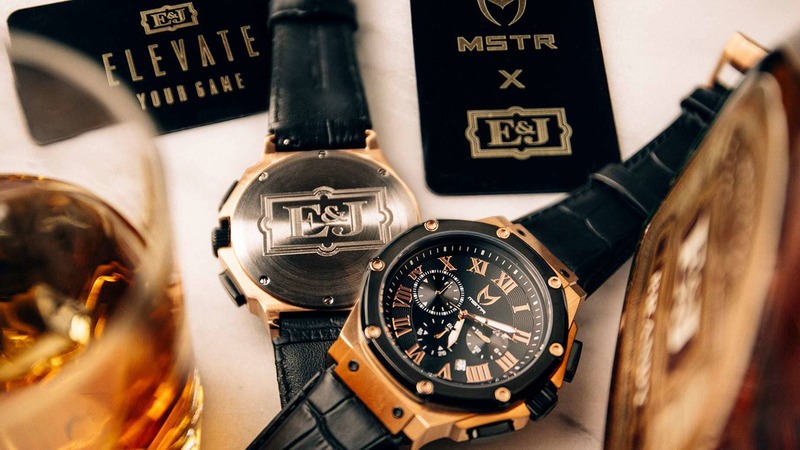 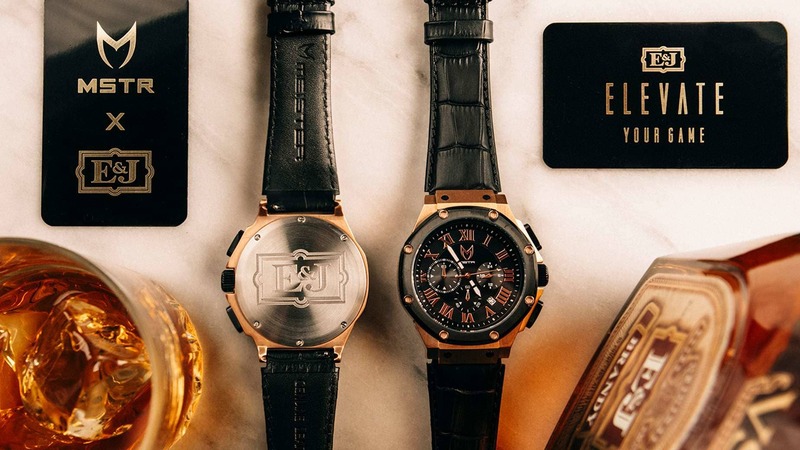 E&J helped fans elevate their holiday style with a series of limited edition gear made with partners like MSTR Watches, Jugrnaut and Tampa Shave Co.
Can’t stop. 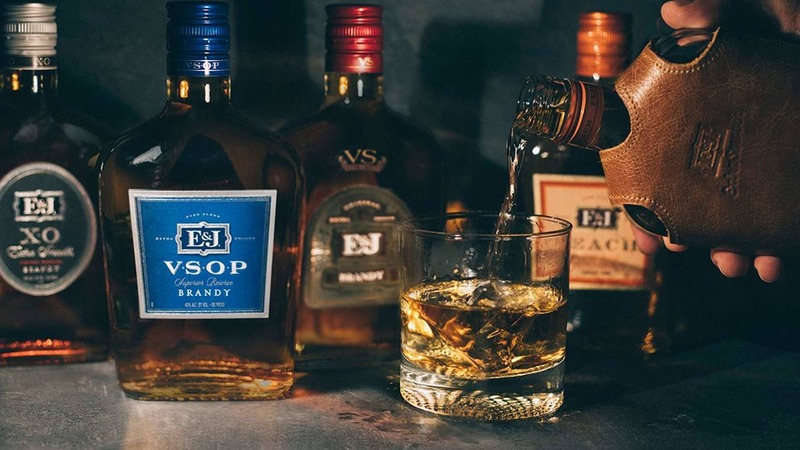 Won’t stop. 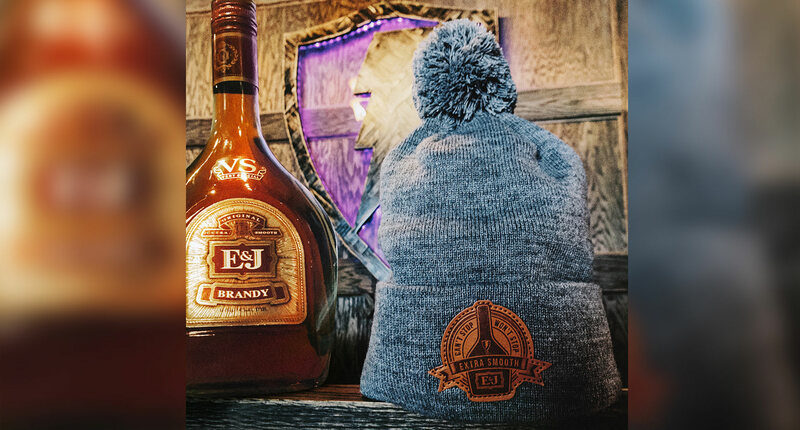 E&J and Chicago’s premier streetwear fashion brand, Jugrnaut, come together for this collab inspired by our iconic E&J Brandy bottle. 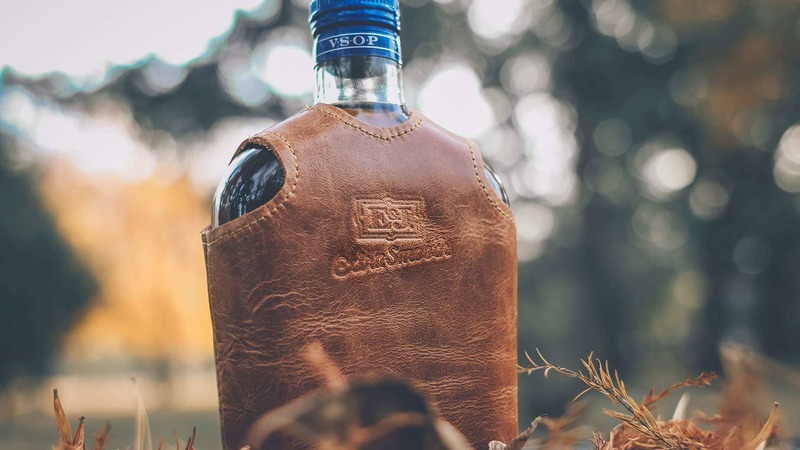 Dress up your drink. 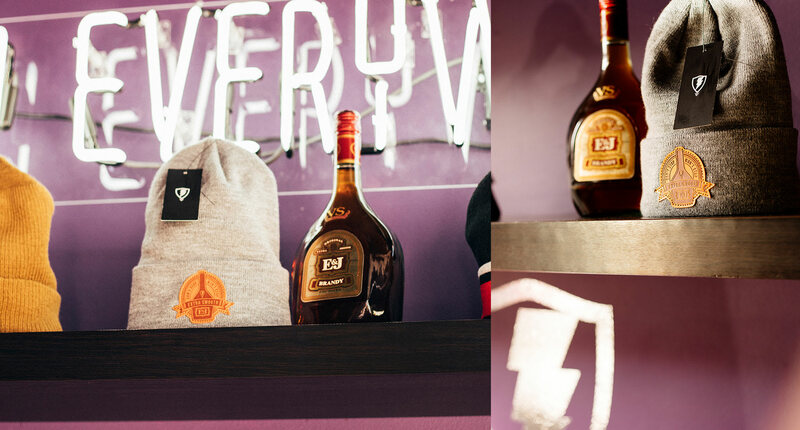 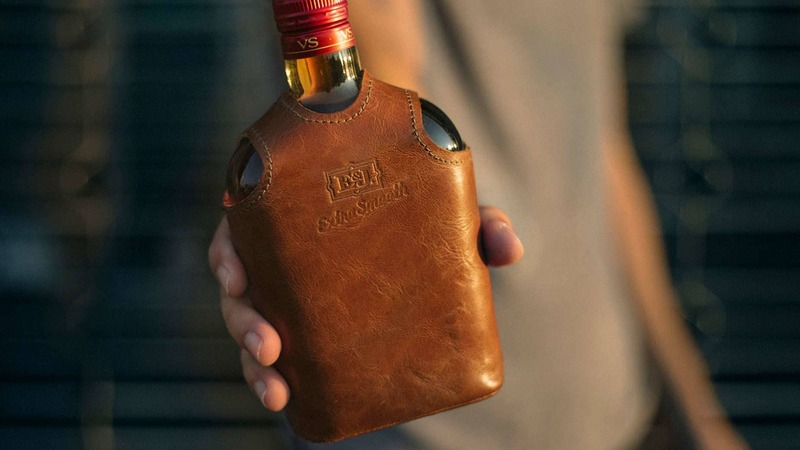 This custom one-piece bottle jacket is made with 100% real leather and features a burn-in E&J Brandy logo on the front. 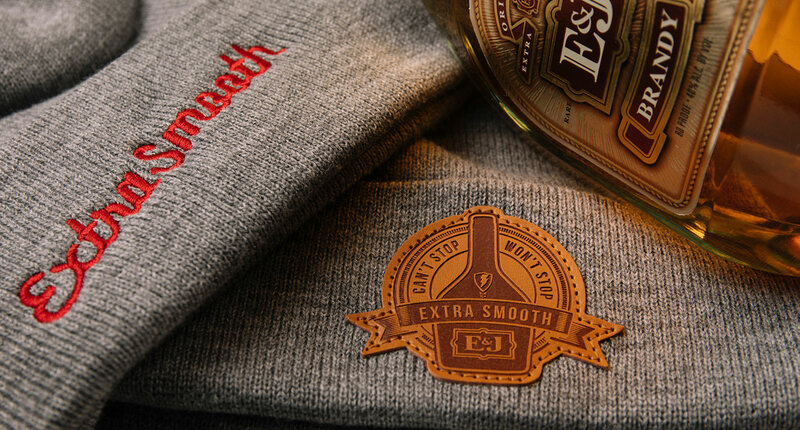 Extra Smooth. 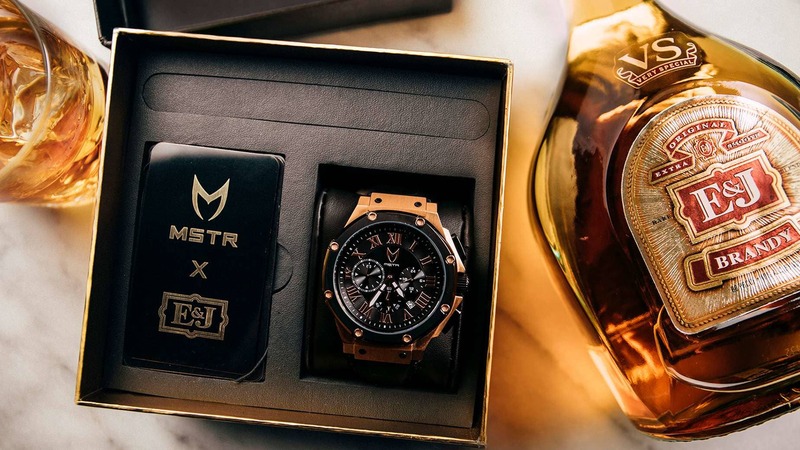 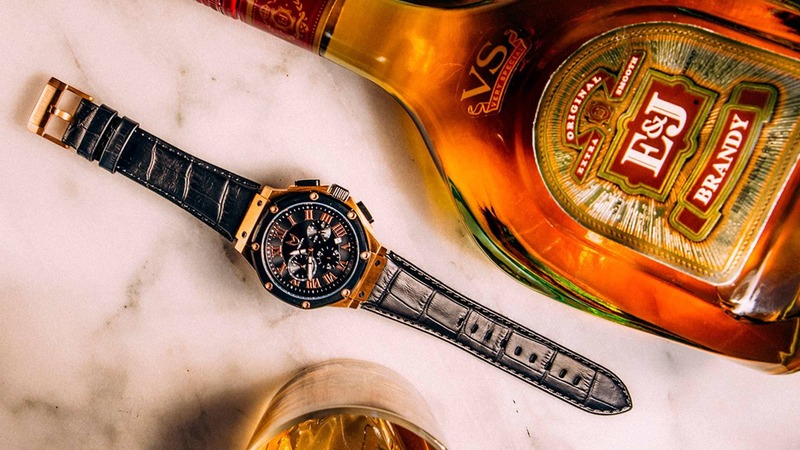 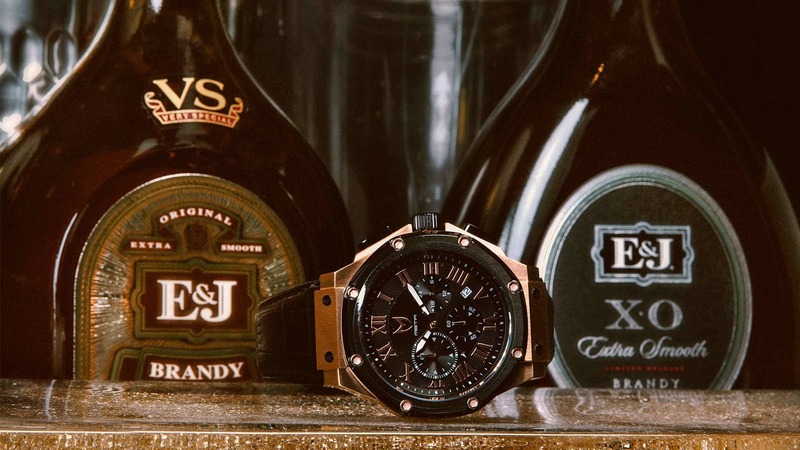 A premium mashup of streetwear design and traditional craftsmanship, this MSTR and E&J Brandy wristwatch is like us: timeless and undeniably smooth. 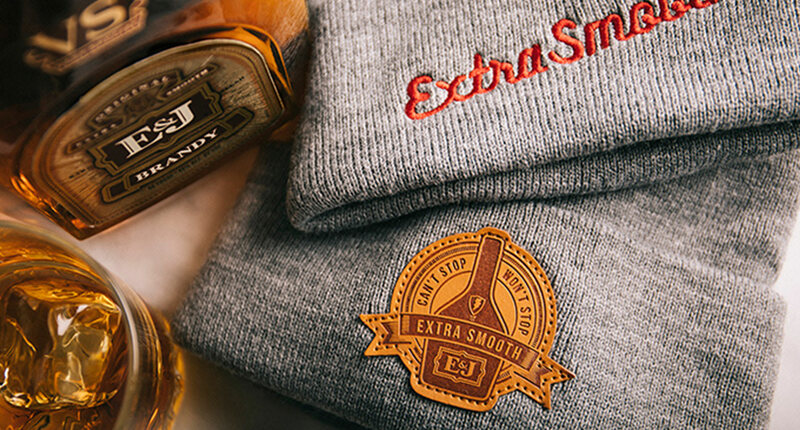 Prepare to be extra smooth. 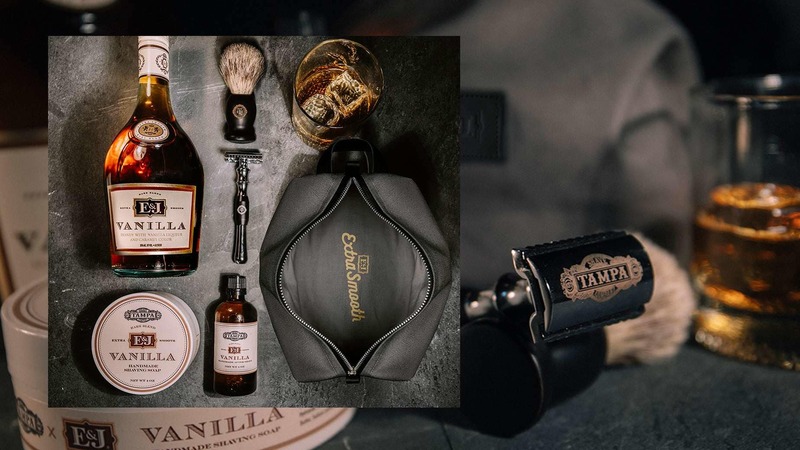 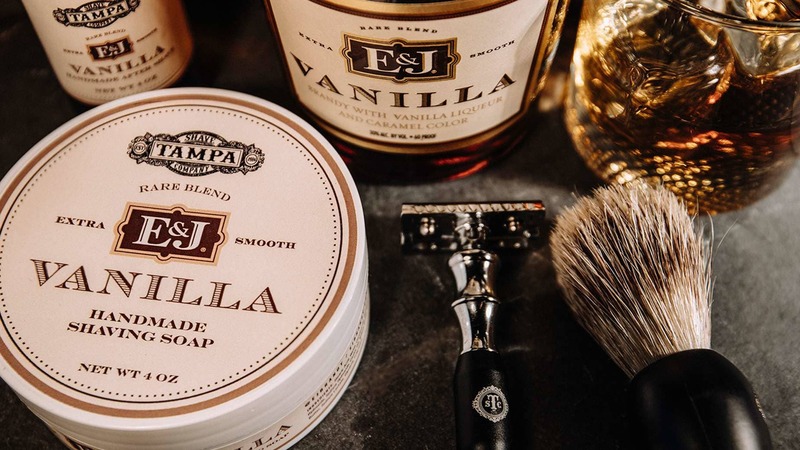 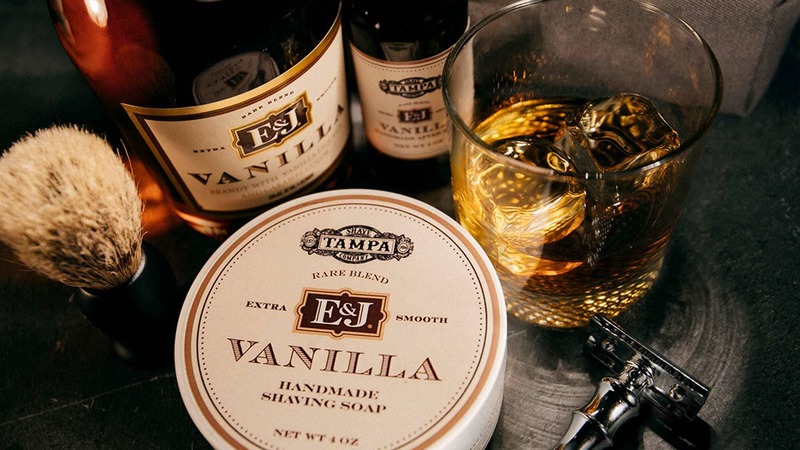 Designed by Tampa Shave Co., this shave kit comes with a luxurious vanilla scent, shaving soap and aftershave inspired by E&J Vanilla.